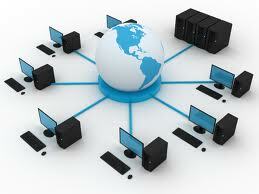 Welcome to our managed Servers, desktops and laptops service. Designed to keep your computer equipment healthy so you can concentrate on doing what you do best. We have invested in a state of the art cloud based IT monitoring system that constantly feeds health and performance information back to our Operations Centre over a secured connection. When our monitoring system detects a potential issue with your device we are instantly alerted and can provide proactive support to address the issue before it adversly affects your business. Fast and secure access to your managed IT systems allows us to provide rapid response to issues as they arise or provide an interactive users support session on demand. We automatically detect missing security patches or failed anti-virus systems. Missing patches or anti-virus can be addressed remotely and out of hours ensuring you are not exposed to new and emerging virus or hacker attacks.